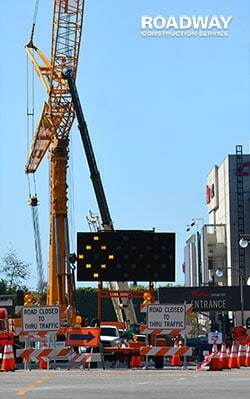 One of the biggest costs associated with traffic control is the acquisition of temporary encroachment permits. Many do-it-yourselfers try, and to their utter frustration, discover that the process is anything but a slam dunk. In fact, in many cases it’s a near mission impossible. For those who’d rather not go this horrendous, resource-draining route, Roadway Construction Service offers a gratifying alternative – we’ll help you obtain the necessary permits with our expert support. The acquisition of temporary encroachment permits is part of the overall service provided by Roadway Construction Service. But even if you need help in just this one area, it pays to have us carry the ball on your behalf. There are numerous advantages gained by selecting us to support your traffic control services and necessary traffic control permits. But before going into those, let’s look at what you’re facing. Typically, permit acquisition requires skillful maneuvering through a jungle of red tape. If you don’t have the resources, the knowledge, and the agility for this journey, you’re bound to get stalled early on. And you know what that likely will do to your budget. Major depletion. Not to mention major delays. The biggest advantage brought to the table by Roadway Construction Service is knowledge of the territory. Sure, there’ll be hurdles to jump. But thanks to our experience and knowledge, we can jump them with consummate skill. Along the way we’ll be shredding the red tape to ribbons. Is it just in-depth knowledge and experience that allows us to fly through the process? Well, that’s a big part of it. But another component is our circle of contacts. Through the years, we’ve developed solid relationships with many municipal officials and decision-makers throughout Southern California. They know us, and we know them. Call it our inner channel to the inner sanctum. And it helps enormously. Because when both sides are solidly connected, expectations are aligned. Everyone gets what they need. Things, therefore, move much more quickly. The upshot? You get the go-ahead decisions in a much quicker timeframe, eliminating costly and frustrating delays. We’ll have the road traffic control devices launched on time and done right. Expect our support during every stage of the traffic control planning and permitting process, beginning with submission of applications. During this phase, we assist with documentation such as traffic control plans. 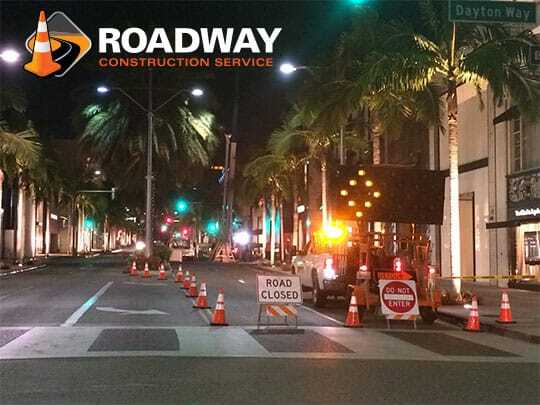 Roadway Construction Service provides equally reliable support during the review phase and the eagerly-awaited permit granting phase. But once a temporary encroachment permit is granted, the mission is still not over. You still must pass an on-site inspection – just to make sure everything matches up. Relax. We assist with both scheduling the inspection and the on-site review. And, of course, we’ll be there at your side for the acceptance – the official sign off from the permitting agency. At that point, we’ll be able to rollout the road traffic control devices on schedule. Would you like to learn more about obtaining temporary encroachment permits? Reach out to Roadway Construction Service any time. We’ll be happy to provide additional information and answers to all your questions.